Advertising, Branding & Communications services for businesses & organizations. 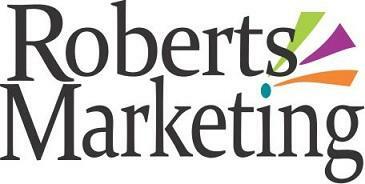 Roberts Marketing offers clients advertising strategies that span traditional media & online. Including: logo & brand development; campaign marketing strategies; SEO and re-targetting, affinity and keyword advertising; print & broadcast advertising; social media management; websites; special projects. Public/Media Relations services also provided, specializing in community engagement and crisis management.